Rico is Poppy’s little brother in age and size! He was hatched in 2016 and has been hand reared by the Coda team from a young age. Rico is definitely the clown of the group and has to be kept entertained between flying otherwise he will get up to all sorts of mischief. 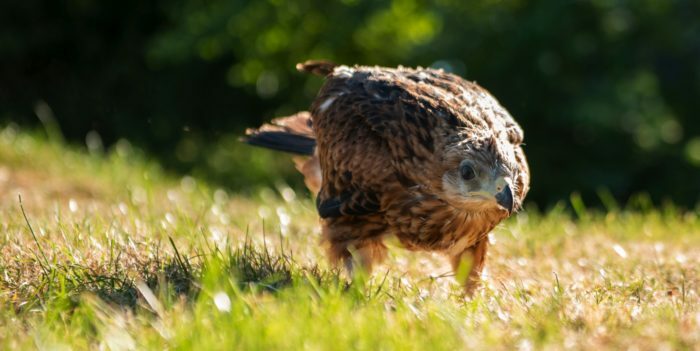 He is a very intelligent and fast learning hawk who is already a part of our experience days and demonstrations and it looks like he has inherited his sisters love for chasing things out in the field. With a little guidance from his older cast members and continuation of his training, Rico will be an absolutely dynamite little hawk for many years to come. Our lovely Griffin is now coming up to 14 years old and is a very talented young man indeed. Reliable, gentle and extremely intelligent, Griffin is sure to win you over with his fast flights out of the trees and his famous “trick” that he learnt to do which involves catching his food in mid-flight over the heads of his adoring crowds. 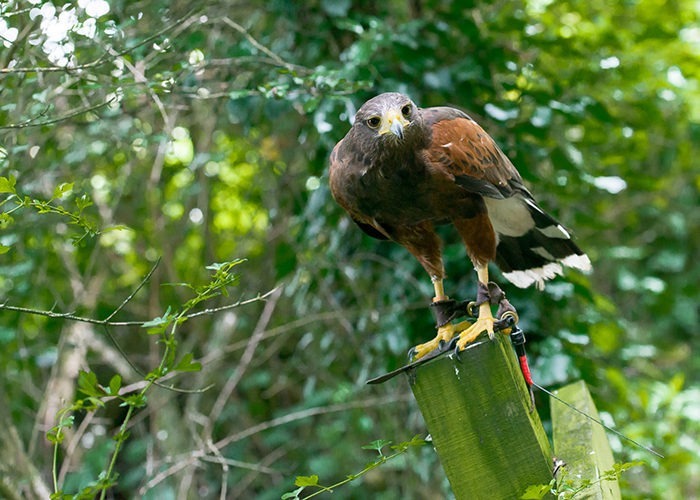 Poppy is the “Alpha Female” of our Harris hawk cast – she tells all the males what to do and is very much the boss! 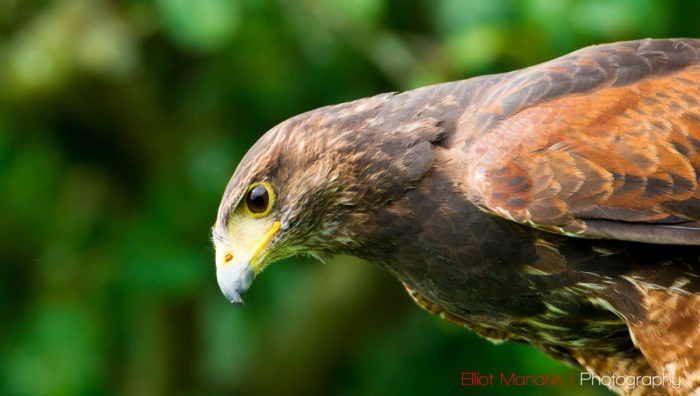 As well as demonstration and experience day work, Poppy is used on pest control contracts and hunting experience days so she is an extremely versatile hawk. Poppy is an “imprint” harris hawk which means she was hand reared by humans and despite the fact she brings down geese in the field behind us, she is very friendly towards people. Such a special young lady joined the Coda Falconry team in 2015 – Freya is a young Snowy Owl who has excelled in her demonstration work and experience days since joining us as a young owlet. One of only a handful of Snowy Owls in the country who can fly to the gloved hand, Freya will be an integral part of our Owl Encounter experience days and demonstration work throughout the coming years. 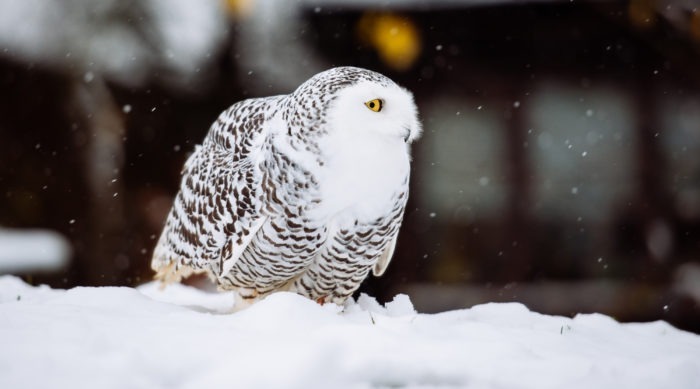 Snowy owls are stunning, powerful predators found in the Arctic Circle (Arctic regions in North America and Eurasia) and are one of the largest owl species in the world. Don’t miss out on seeing this rare and incredible bird at Lee Valley Park Farm. Here at Coda Falconry, we are extremely fortunate to have been blessed with Dizzy who is the daughter of our breeding pair of barn owls. The Coda team have raised Dizzy since she was 3 days old and there’s simply nothing that she won’t do to a high standard. Our leading ring bearer, experience day and public demonstration bird, Dizzy is a very hard worker and absolutely stunning to fly and photograph. When you handle her, you’ll fall in love with her too. 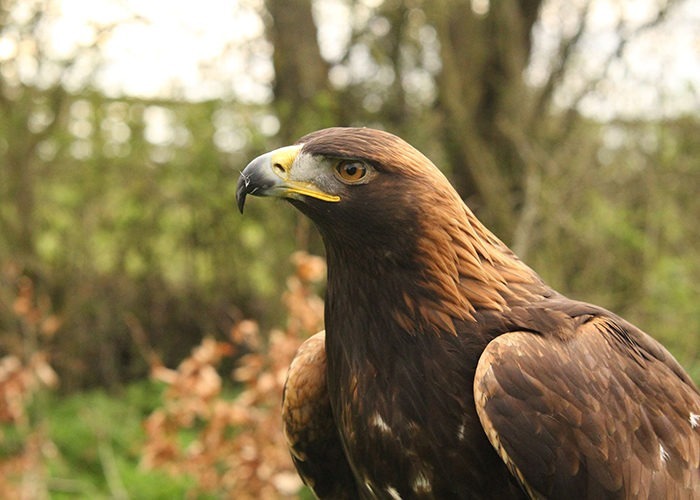 A most magnificent addition to the Coda Falconry team for 2015 is our stunning Golden Eagle, Nelson. He is a young male who’s just over a year old and already showing the beautiful gold markings on his nape that give this native species it’s name. Nelson is on loan to us from Ecoguard Pest Solutions Ltd and his owner takes him out hunting during the winter which allows him to have a nice summer holiday at Lee Valley Park Farm until the hunting season opens again. We had no idea what a little ball of mischief we were buying when we picked Logan up at 6 weeks old….he was completely adorable but incredibly stubborn even at that tender age! Now he’s an amazingly handsome adult and adored by anyone who comes into contact with him. He has worked as part of the Animal Therapy groups and visited patients in hospital and has even delivered wedding rings as part of a truly beautiful ceremony so Logan has proved himself to be a very patient and versatile character indeed. I did have to rescue to him from a tree once though as he’s slightly afraid of heights! 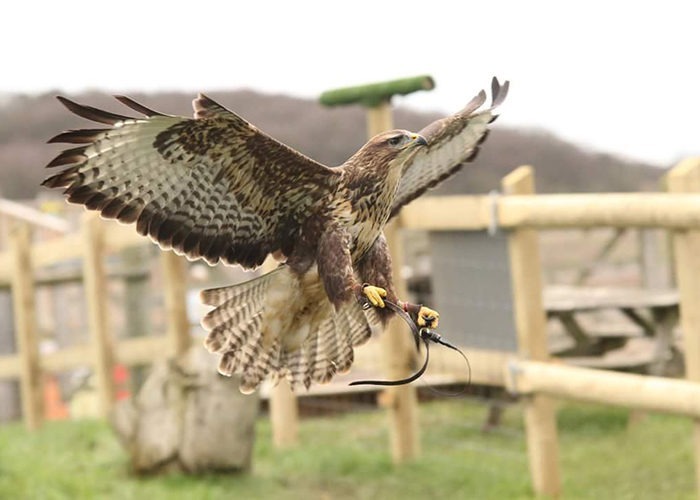 A very impressive native species of ours – Kami the common buzzard was bought from a local breeder and we have raised her from 2 weeks old. She has really blossomed over the summer and is now flying free to enthralled guests and general public alike. Kami is a favourite on our photography experience days where she shows off her beautiful plumage and astonishing camouflage against the English countryside. We’re really looking forward to working with Kami more extensively throughout 2015 and watching her mature into a soaring adult. From a cute ball of fluff to a sky rocket in just a few months….that’s our Blue! We have imprinted (hand reared) this little Lanner falcon from 2 weeks old and he is another new addition to the Coda Falconry flying team for 2015. 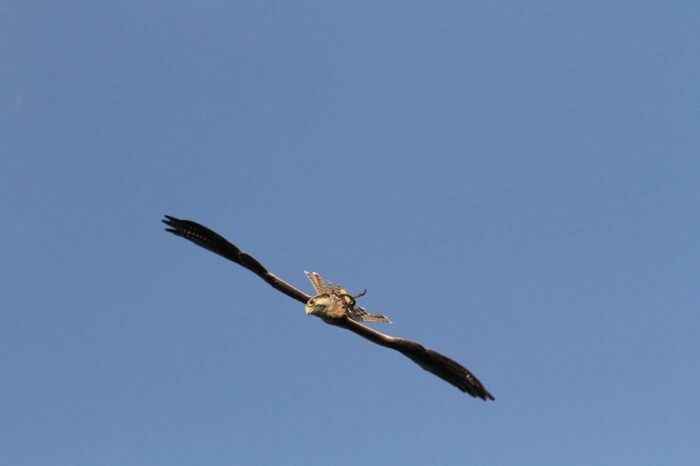 Now at just over 4 months old, Blue has taken to the skies and can now be seen on our flying demonstrations swooping, stooping and hurling himself through the air trying to catch the lure. You’ll also hear him as soon as you walk into the centre! 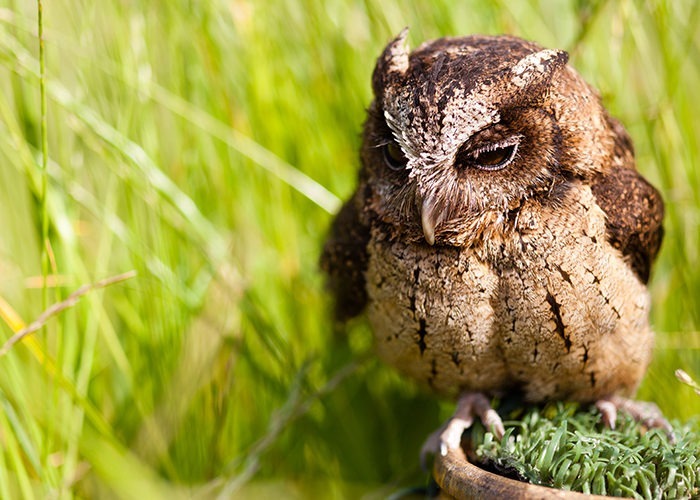 Hatched in the summer of 2016, Tuco is Poppy and Rico’s little brother however, unlike them little Tuco was parent reared as opposed to imprinted. So that means he was raised by his own parents until he was 4 months old. He is a very intelligent and fast learning hawk however, he can show a very stubborn side so it’s important to get his weight right! 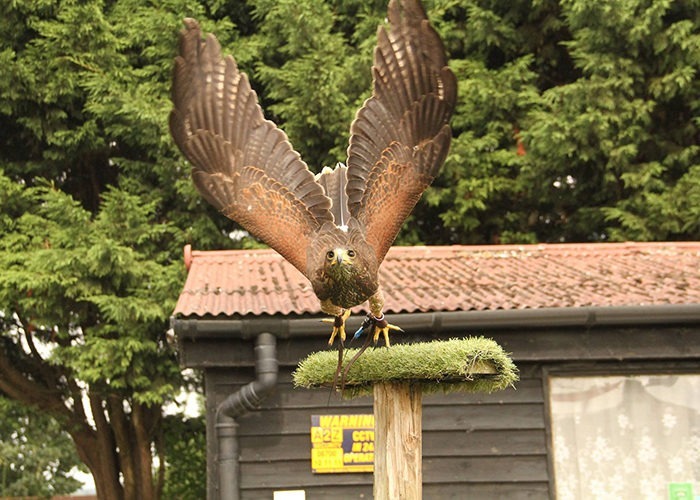 Tuco is showing a lot of promise flying in a cast with our other parent reared Harris Hawk, Vega and we think they’re going to be a force to be reckoned with out in the field. 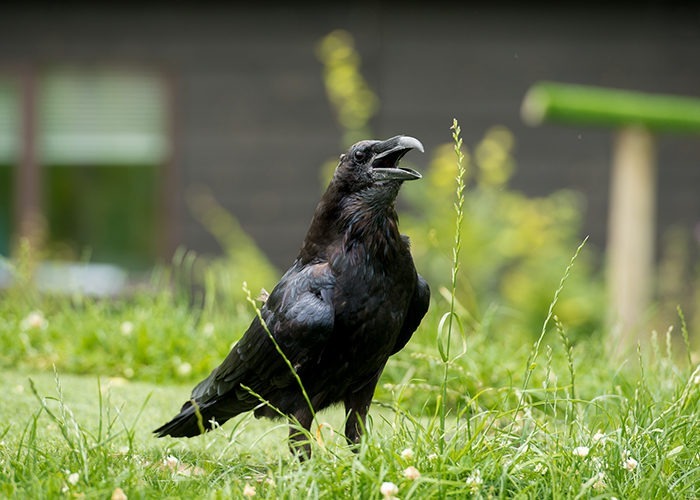 The most intelligent bird we have in our collection is our Raven who we called Loki after the Norse God of mischief and trickery – boy does he live up to his name! When he’s working on display or within our flying arena, Loki never fails to entertain the crowds by demonstrating just how good his memory and ability to learn is. We’ve even managed to teach him how to play the xylophone to signal that he wants more food! 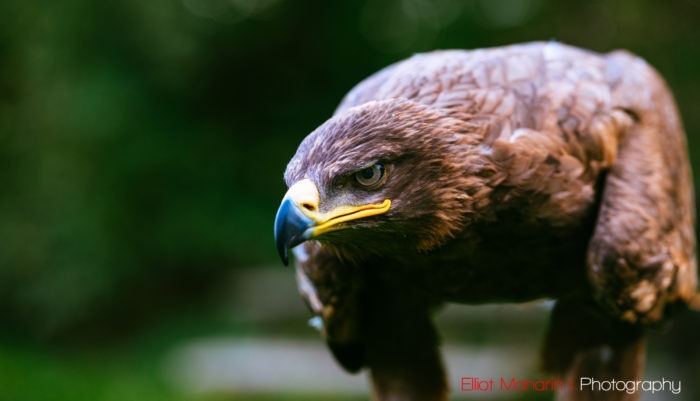 Here at Coda Falconry, you can have the rare chance of seeing Britain’s largest member of the crow family up close and personal, flying free and trying to out-wit us! New to our feathered family this year is this very handsome young man – meet Yuri the Steppe Eagle. His name in Russian means “The Light of God” so we’re hoping that our newest eagle can dazzle the crowds with his shining personality and impressive flying skills! With just over a 6ft wingspan and weighing in at over 5lbs, Yuri is unmistakeable on demonstration and is the largest member of our flying team. He is only 3 years old and so he has a lot of maturing to do with us (Steppe Eagles can live to over 40 years old in captivity!) but he is now flying free and building up fitness for the coming 2018 season. 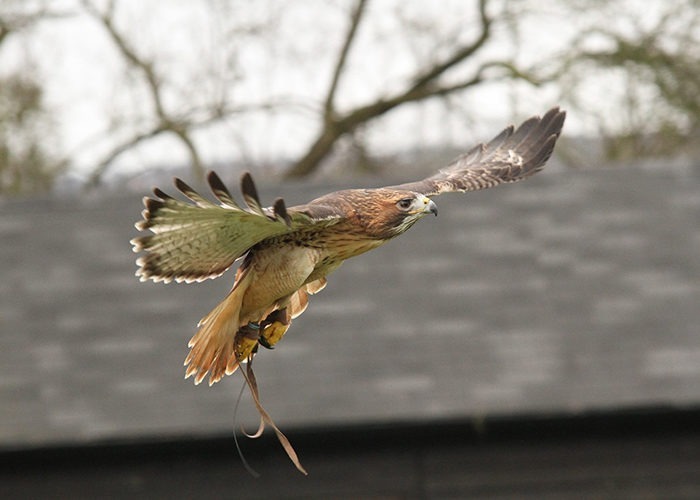 Arguably, the start of Coda Falconry, Fortune is a full on hunting bird of prey. 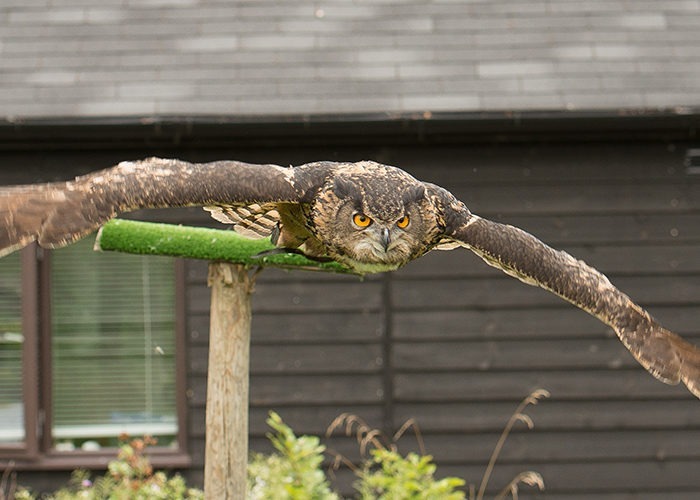 He was purchased from a phenomenal raptor breeder in Tiptree who has since become a very good friend of ours and there’s a very special place in our heart for Fortune as he was the first bird we purchased when we started up the centre. Fortune is a machine, he loves catching rabbits and grey squirrels and during the autumn and winter months, he excels in what he does…..soaring on thermals, diving out of the sky after his prey and sitting next to us on a picnic rug whilst we have a quick cup of tea! Aren’t we lucky? 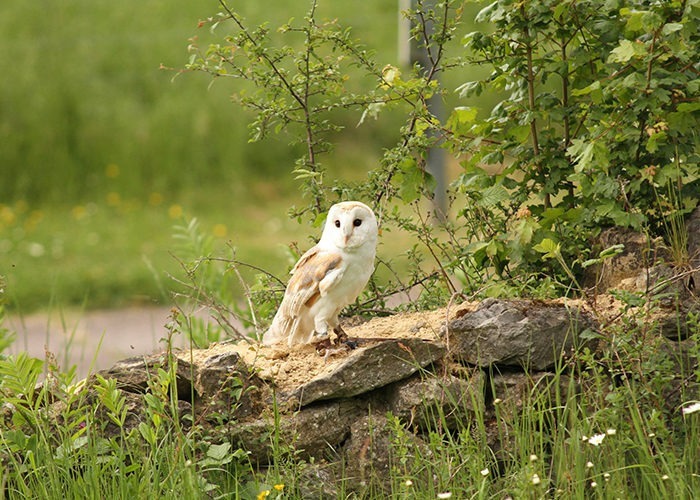 We have one of the rarest species of owls in captivity in the UK right here at Coda Falconry! Not only that but Otis is a local celebrity, he’s gentle, loves to be handled and is a staple of all our experience days and Public Demonstrations. You may well have met our little Otis before but if not, you will never forget your encounter with him – at only 4.5 oz and standing at a whopping 6 inches tall, Otis is one of our smallest team members but without a doubt his character and warm, loving nature make him one of the biggest characters too. 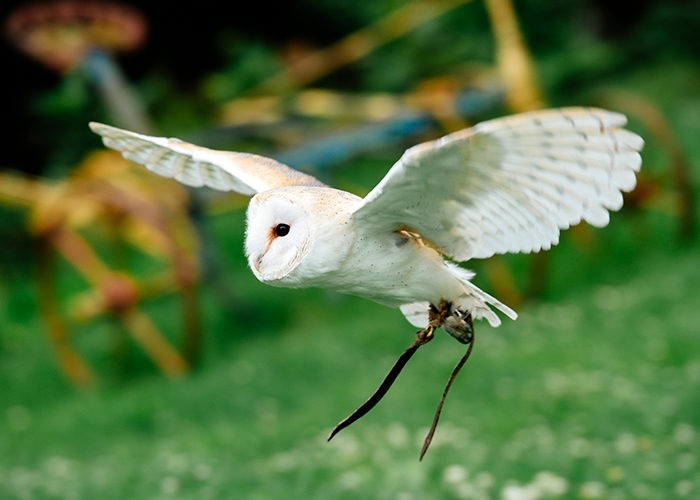 Dusk is another one of the barn owls that we bred here at Coda Falconry. He is Dizzy’s younger brother (by a whopping 5 days!) and he is really blossoming here at Lee Valley Park Farm. Dusk has a very shy personality but is incredibly gentle around people and is beginning to find his wings in our flying arena. Dusk has just started to help his sister “Dizzy” out when it comes to weddings and will be our second barn owl to be trained to deliver the rings as part of the main wedding ceremony. New to our falcon team is our “Teo” – he’s an Aplomado Falcon which is a small species of falcon found throughout South America. The name “Aplomado” comes from the Spanish word “Plomo” which means lead and this refers to their beautiful, dark grey colouring on the back of the bird. 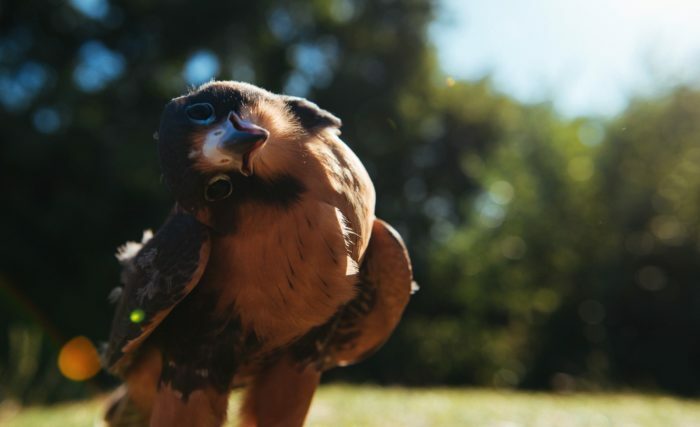 Aplomado falcons are extremely fast and acrobatic and we are currently training little Teo to chase a lure so he will be one of our demonstration falcons for 2019. Another youngster who joined the team in 2018 is our Red Kite, “Merlot” – The red kite is common throughout the UK and you can see them soaring effortlessly in the sky showing off their beautiful forked tails. Merlot is now flying free and is learning how to soar, we are excited at his progress and will be looking forward to using him in experience days and demonstrations throughout 2019. 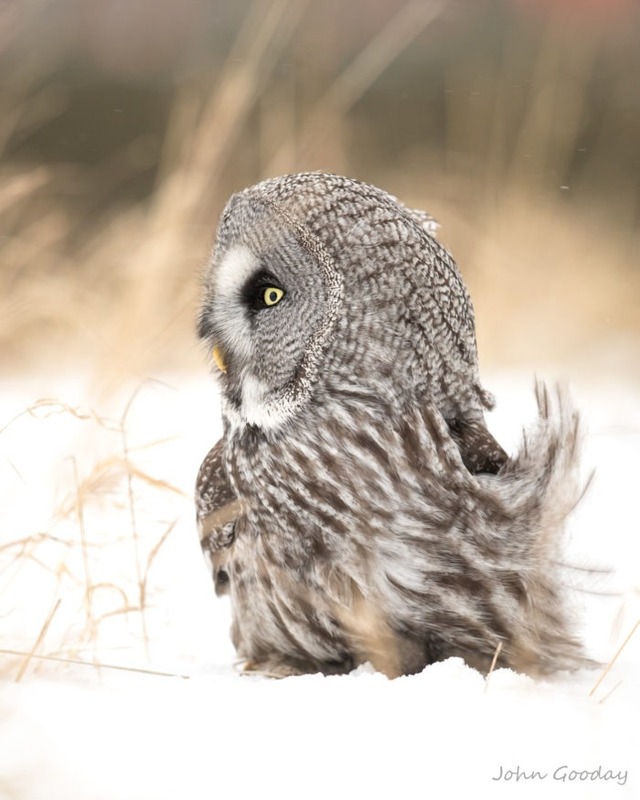 Misty is our female Great Grey Owl – this species is found in North America, Canada and Northern Europe. Despite her large size, she actually weighs very little as her feathers are super soft and insulating so most of the bird that you can see is all feather! Misty is flown to guests as part of our Owl Encounter experience when Freya the Snowy Owl is having her summer break. 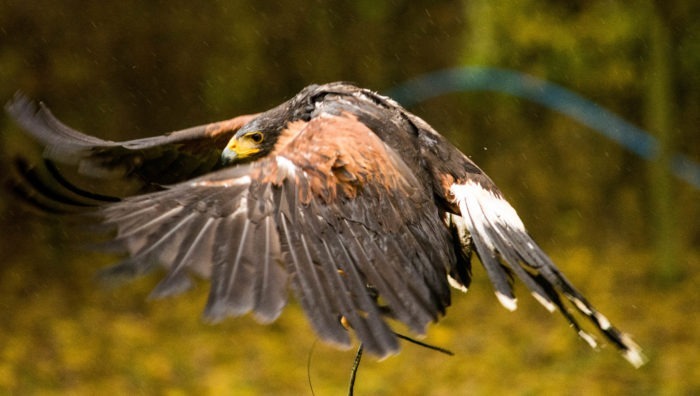 Vega is a young Harris Hawk who you may have met if you’ve come up for one of our half or full day falconry experiences as he does love to go on a woodland walk! Vega definitely isn’t a “hunting” bird and is far too lazy to bother going after anything bigger than a mouse but we are always impressed at how easily he makes diving out of trees look….he is manoeuvrable and intelligent so it’s always incredible seeing him in action trying to second guess our moves. A huge favourite on our Photography experiences, Frost the Tawny owl is a beautiful example of our most common species of owl. 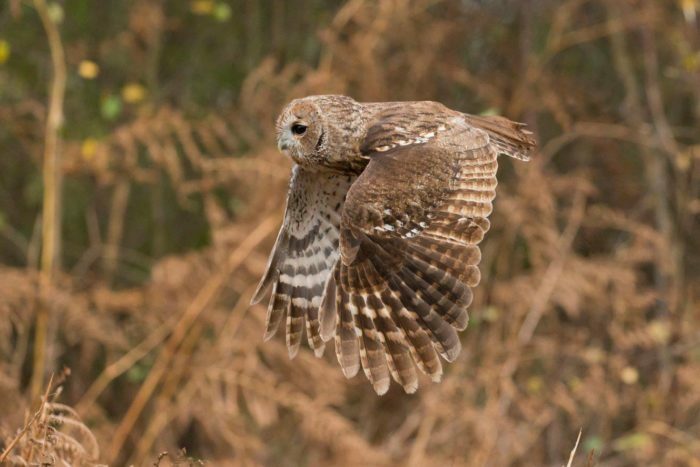 Tawny owls are found across the UK and are strictly nocturnal so it’s unlikely that you’ll see one in the wild but you may well hear them…..the characteristic “Twit-Twoo” song of a Tawny owl is well known across the world and can be heard more frequently in Spring and Summer as the owls are trying to attract a mate. You can meet Frost on many of our experience days and he is also a demonstration bird too – he won’t do anything quickly but he will get there in the end!